I hope you're all enjoying your free September lock screen Bible verse! If you know you've subscribed, yet haven't received it... please email me and I'll make sure it gets sent your way. 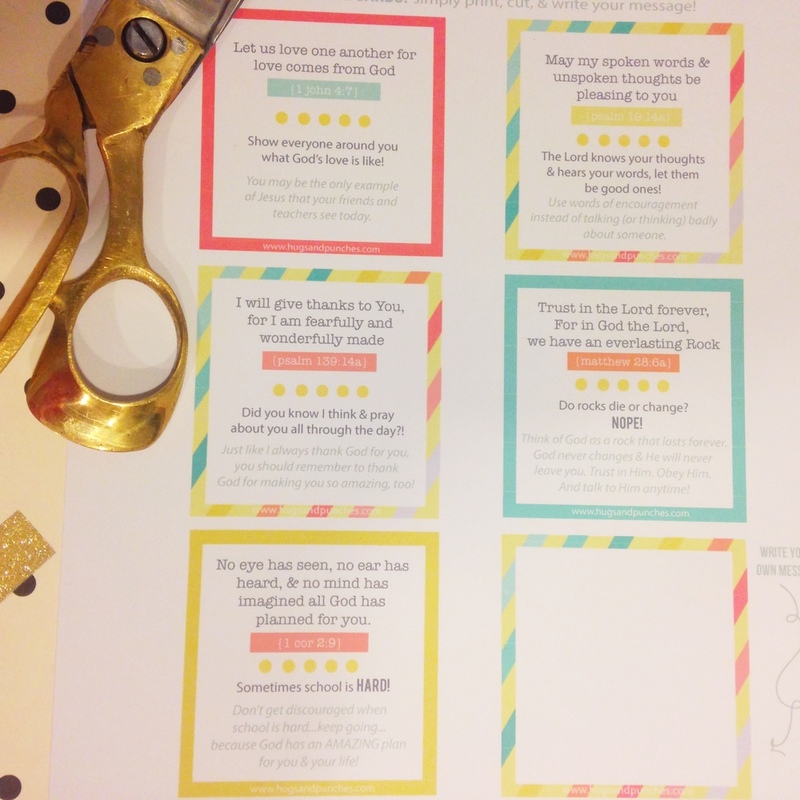 On another note, it was such fun making these Bible verse lunch cards for the kid's lunch boxes. Hope you and your kids love them, too! This morning I cut out Psalm 139:14a and using a little washi tape, stuck it into the lids of their lunch boxes. All our kids make their own lunches so it was funny watching them as they put food inside, trying so hard not to read it until they sat down for lunch. What verses or topics would you like me to include in the future? Do tell!